Cohiba Cuban Cigars - Popular But Limited article at My Cuban Cigars. There is more than one story of how the Cohiba brand was formed. However, we will tell you the story which seems more historically plausible. Fidel Castro had a bodyguard named Bienvenido "Chicho" Perez, and the Cuban revolutionary once noticed that Perez smoked very flavorful and nice cigars. He asked the bodyguard what was the cigar he smoked, and Perez said that it was a special kind rolled by his friend. The talented cigar roller turned out to be Eduardo Rivera. He used to roll cigars at the Havana La Corona factory until he started working exclusively for Castro. The dictator turned a mansion in the Havana suburbs into a cigar rolling facility where Rivera and five other rollers made cigars for him. By the way, it was also the first cigar making facility to employ female cigar rollers. 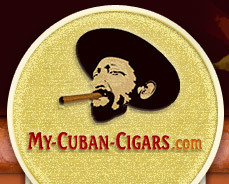 The brand got its name after "Cohiba", the Taino word which stands for tobacco. According to historians, Columbus started using "cohiba" instead of the word "tobacco" after he had been to Cuba. The cigars produced at this factory were usually smoked only by Fidel Castro or a few high-ranking Cuban officials. Foreign diplomats could also sometimes receive them as gifts. Castro's personal choice was long and thin Cohibas which later came to be known as the Corona Especial and Lancero vitolas. However, Fidel Castro made the decision to make Cohiba cigars available for the general public in 1982. The brand was introduced in the premium segment only and the inauguration coincided with the World Cup in Spain. First, only three cigar shapes were available: the Lancero, the Panetela and the Corona Especial. Two years later, the selection also included the Exquisito, the Esplendido and the Robusto. 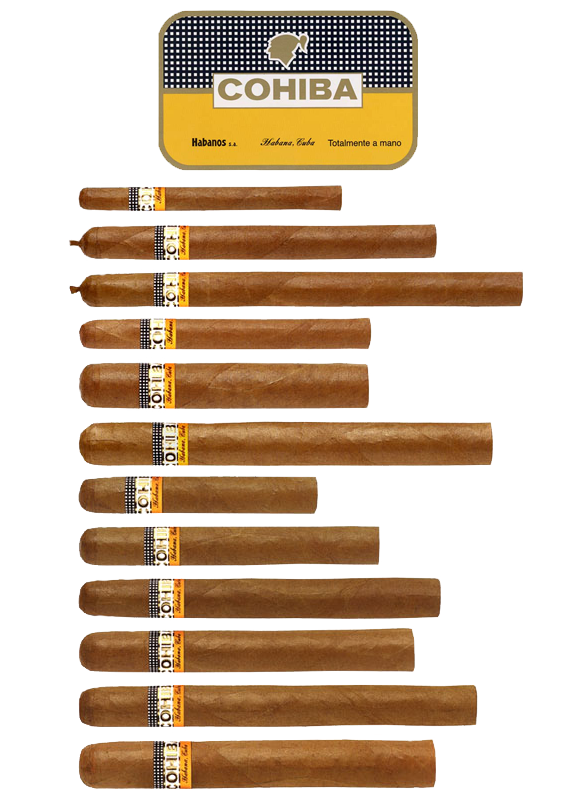 These six cigar shapes are often described as "Linea Clasica". In 1992, to commemorate Christopher Columbus's voyage of 1492, the manufacturer of the original Cohiba cigars, Habanos S.A., introduced a new series - Linea 1492. The line's vitolas received their name after each century that came after Columbus' discovery - Siglo I, Siglo II, Siglo III, Siglo IV, Siglo V and Siglo VI. To commemorate certain events, Habanos SA sometimes launches limited-edition Cohibas featuring a darker wrapper. The Cohiba brand is definitely the royalty among Cuban cigars. Of course, there are many counterfeits, as well as the Cohibas produced in the Dominican Republic, but only the Cuban cigars that we offer at my-cuban-cigars.com have that special spirit and flavor that made Christopher Columbus use the word "Cohiba" instead of tobacco.